Trim post length from the coronal end to maintain the taper at the apical end. Clean the post with alcohol prior to cementing it in place. The Universal drill is excellent at removing gutta percha. Use it to the length desired before moving to the post preparation drill. The 3M ™RelyX ™Fiber Post 3D Glass Fiber Post Kit offers a selection of glass fiber posts and corresponding drills in four sizes. 3M RelyX Fiber Post 3D Glass Fiber Post is a translucent, radiopaque post with macro retention grooves in the coronal portion. Color-coded bands are removable and coordinate with the drills, indicating sizes. The posts are packaged in blister packs of five and available in four diameters: #0=1.1 mm; #1=1.3 mm; #2=1.6 mm and #3=1.9 mm. Corresponding drills plus a Universal drill for initial preparation are included. 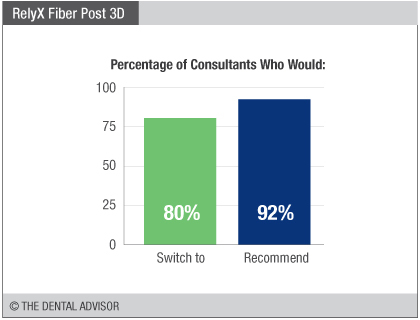 3M RelyX Fiber Post 3D Glass Fiber Post was evaluated by 25 consultants in 330 uses. 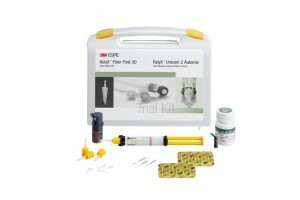 This post kit received a 96% clinical rating. 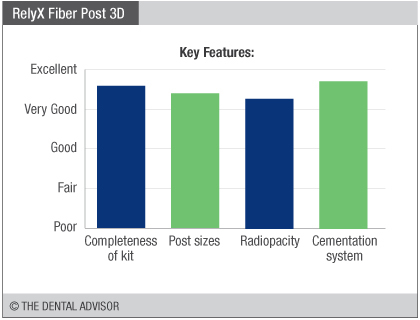 3M RelyX Fiber Post 3D Glass Fiber Post Trial Kit includes RelyX Unicem 2 Automix Cement and was evaluated in conjunction with Scotchbond Universal and Filtek Bulk Fill Posterior Restorative as a complete core solution. The kit is nicely packaged in a sturdy, plastic box with laminated instructions and organized storage. 3M RelyX Fiber Post 3D Glass Fiber Post does not require any pre-treatment with silane when used with RelyX Unicem 2, saving time. The narrow endo tips provided with RelyX Unicem 2 facilitate application of cement to the root canal from bottom to top, lowering the risk of entrapping air bubbles and voids. Standard adhesive techniques can be used to bond the composite material to create a core build-up around the post and remaining tooth. 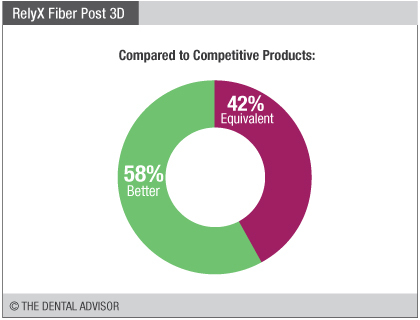 The neutral shade and translucency of 3M RelyX Fiber Post 3D Glass Fiber Post blend with the tooth, enhancing esthetics. The tapered shape of the apical half of the post is consistent with root forms, allowing a conservative root preparation. High mechanical retention to the core is achieved through the retention grooves. 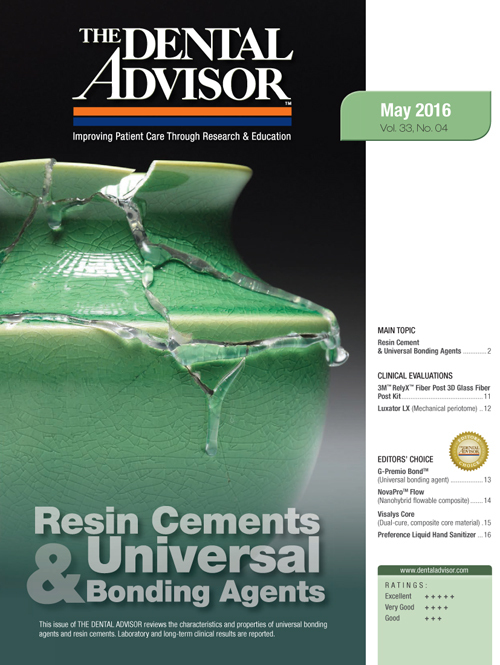 Ninety-six percent of consultants found it useful to have posts, cement, bonding agent, and core material from one manufacturer in a complete kit.